As I uttered the last syllable of the searing Holocaust passage in Night by Elie Wiesel, where Yuliek plays his violin amidst a sea of dead and dying men, and Beethoven's concerto concluded on my laptop, a sigh sounded from one of my sophomores. Basie was a tiny figure shrouded in a hoodie, sleeves pulled over his minuscule hands. He never said much before, but now pushed his hoodie slightly off his eyes and mused about how art infuses beauty into even the most depraved situations. I smiled, knowing I had reached him. It was the fall of my fourth year teaching, and my trick for engaging students was to give them the arts. I learned it from my principal, Ms. Mitchell, who encouraged us to take our kids out of poverty and into theaters and museums -- and to bring that richness back into the classroom. It was, after all, a universal language that could touch and inspire. Ironically, while I enjoyed affecting emotion in my students, I prided myself on my own lack of sentimentality. Despite our volatile environment, I refused to succumb to tears the way my colleagues often did. Katie cried when Ana, the valedictorian, got pregnant and decided to keep her baby. Sara cried when Juan had a near-fatal asthma attack in her classroom. Even Mike cried when Shanequa recounted her brother's murder by a rival gang member. Though these were justifiable emotions, it was our duty to be pillars in the kids' precarious lives. We couldn't lose control. Therefore, I refused to cry. It was a resolute vow. And so, I steadfastly watched Basie continue to draw inspiration from the arts. He visited the school library every day before our first period class, then rushed into my room, arms overflowing with books on Tchaikovsky, Chagall and Ailey. And when we moved on to our next work of literature, Here in Harlem by Walter Dean Myers, and strolled past the storied brownstones of 145th street as snowflakes fluttered down, I mentioned that he may have been named after the jazz great, Count Basie, who lived in Harlem in the '40s and '50s. He grinned under his hoodie in the fading light of winter, and I wondered why this was news to him. 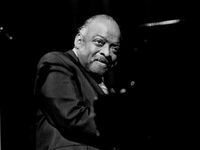 The next morning, I came upon him listening to Count Basie's signature tune, "One O'Clock Jump," his tiny feet tapping to the rhythms as he ebulliently recounted the musician's life, which he had meticulously researched. I loved his enthusiasm but was worried about its fever pitch. Suddenly, he had a desperate need to please me -- he washed my whiteboard until it shone, wrote and rewrote his journals in letters so lovely they looked like calligraphy, and even cut the muffins he brought me exactly so. Furthermore, his behavior was erratic. In half an hour's time he would go from alert to asleep, draped over his desk, sleeves pulled over his hands. I had also discovered that, while he was excelling in my class, he was failing everything else. Apparently, he so bullied his classmates and disrespected his teachers that it was impossible to be around him. "Is everything okay?" I asked him. "You know you can talk to me." He nodded, shrunken in his chair, hood half-covering his eyes, staring at the floor. I sat with him in silence for half an hour, giving him the opportunity to speak, but nothing was forthcoming. And I didn't push him. He was absent the next day and the day after that. He had never missed school before, and when I called his disconnected number, a foreboding chill shot down my spine. But just as I planned to go to his house, he glided through the door with a stack of books, like any other morning. Before I could question him, the librarian, Ms. Colbert, peeked in, requesting to see me. I flagged down a colleague to watch my class and followed Ms. Colbert into the library. "Basie asked for some books today," she said morosely. Ms. Colbert was in her 70s and would have retired long ago if not for the kids. "He asks for books every day," I replied. "They were on depression," she said. "So I inquired, 'Why are you depressed?' And he said, 'Because my mother hits me.' And then he lifted up his shirt and showed me the marks." I struggled to breathe. Ms. Colbert brought me a glass of water. "He didn't want to upset you," she said gently. I wobbled out of the library and knocked on Principal Mitchell's door, and when she answered, the floodgates burst. I stood there in her doorway, bawling, as some of my students shuffled by, averting their eyes. Ms. Mitchell pulled me into her office and sprung into action like someone who had done this before, calling the psychologist, social services, and everyone else dealing with such ugliness. I couldn't face Basie. I had failed to protect him. And didn't want him to see me pitying him. Furthermore, I was terrified by how naked I felt. So I sat in Ms. Mitchell's office the rest of the day, weeping four years of tears. I wept for valedictorian Ana and her baby. I wept for asthma-afflicted Juan. I wept for Shanequa and her murdered brother. And I wept for Basie, whose fate was uncertain. Even if he was put in foster care, there was no guarantee that his foster mother would be any better than his biological one. The next morning, the air in my class was heavy. My students tiptoed in and somberly shuffled to their seats. This is what happens when teachers lose control -- news about their tears spreads like wildfire, and children don't quite know what to make of it. I wrote the day's agenda on the board, the kids took out their independent reading books and I took out mine. I didn't have the courage to call attendance because I did not want to interact with anyone. As I sat there reading my book, a shadow appeared over my desk. I looked up. It was Basie. For the first time, his hoodie was entirely off his head. He had that spiky hairdo that teenage boys seem to love. Our eyes locked. Mine were still red and puffy. He knew the tears were for him, that I knew what he had gone through, and that there was no reason to hide anymore. And then he broke out in the widest grin, and light beamed in from the window. There'll be pennies from heaven for you and for me . . .